FULL TIME - Argentina led 31-7 at half-time but five converted tries and a penalty in the second half saw Australia pull off the biggest comeback in the history of the Rugby Championships to win 45-34. Wallabies have to deny the Pumas a try here to edge them out into third place. YELLOW CARD - Latu has been issued the yellow card and he will play no further part in the match. Tensions begin to boil over with the TMO called into play over a potential foul. PENALTY GOAL AUSTRALIA - Foley makes no mistake from directly in front and the Wallabies lead 45-34. Wallabies have been paid the penalty and they elect to take the kick. After being so dominant in the first half Argentina can't get it right in the second with Boffelli's kick landing on the line. Iglesias kicks long but it's too long as it goes dead. Where did this second half come from? It has been the classic game of two halves. CONVERSION AUSTRALIA - Foley converts with Australia leading 42-34. TRY AUSTRALIA - Foley with the kick across to Haylett-Petty who passes to Haylett-Petty who goes to Pocock and gets it back to score the try. Australia are running away with this! CONVERSION AUSTRALIA - We see it but we don't believe it! The Wallabies are in front after Foley curls the ball around the post to make the conversion. Australia leads 35-34. TRY AUSTRALIA - Pocock picks it up nicely and doesn't break stride as he muscles his way over for a try. Australia will kick for the lead. PENALTY GOAL ARGENTINA - Iglesias strikes it beautifully from a long way out and it sails through post high. That would have been a 50 metre plus kick! Argentina lead 34-28. Coleman is penalised for picking up the ball whilst not out the back of the ruck and Iglesias will take the shot. Argentina get the penalty for the collapsing scrum. The Wallabies have the momentum at the moment with Foley's clearance taking the play inside the Pumas' half. Everything went wrong in the first half but it seems to have flipped the other way in the second half. CONVERSION AUSTRALIA - Foley brings it around nicely with Argentina's lead now down to just three at 31-28. 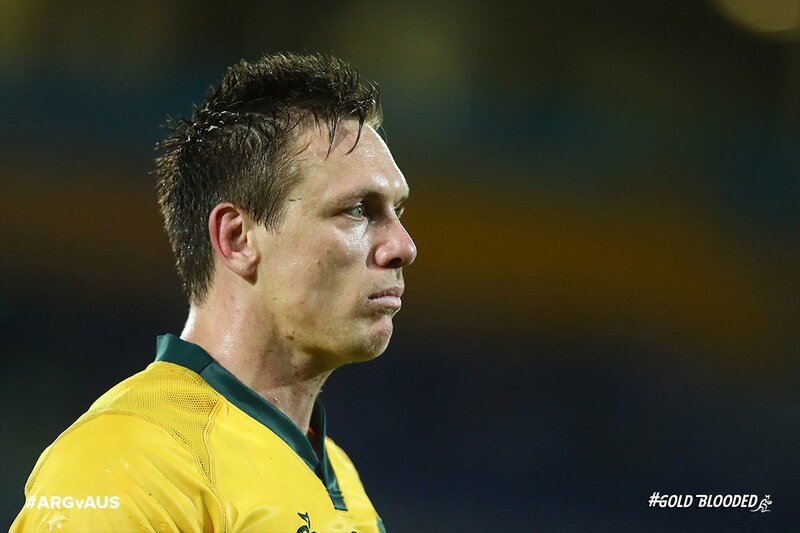 TRY AUSTRALIA - Another long phase with Haylett-Petty through for another Wallabies try this time on the ninth phase. Argentina 31-26. CONVERSION AUSTRALIA - Foley adds the extras. Argentina 31-21. 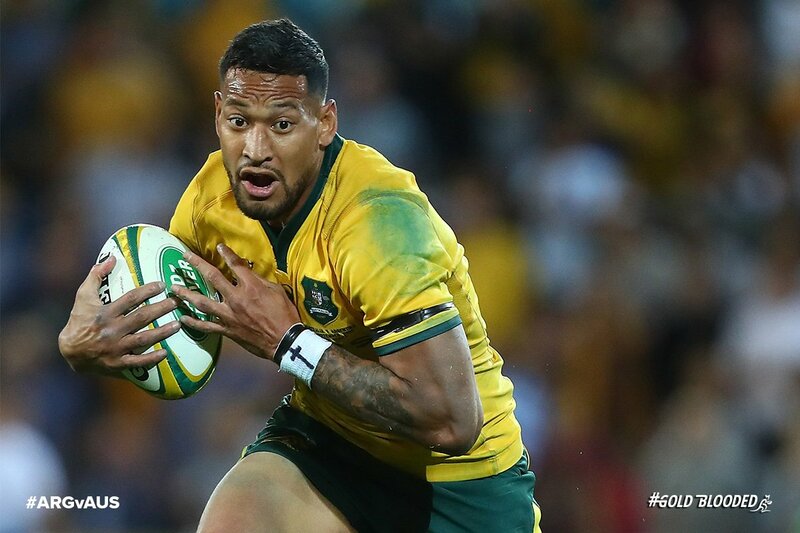 TRY AUSTRALIA - Folau comes in off the wing on a huge angle on the 11th phase and he runs in to score the try. Is the comeback on? Bertanou with the kick but he doesn't find the desired distance with the Wallabies taking possession 10 metres inside the Argentina half. CONVERSION AUSTRALIA - Hooper makes the conversion. Argentina 31-14. TRY AUSTRALIA - The kick by Bertanou is charged down and it goes to Rodda who strolls through to score his first international try. Argentina 31-12. Australia has certainly sent a message out having replaced its entire front row at half-time. It's either a message or a magic wand kind of move hoping for a miracle. The Wallabies have an early penalty which sees the ball kicked to half way in an early win of sorts for the Wallabies. HALF TIME - It's been an absolutely dominant performance by Argentina in the first half and they lead 31-7 at half-time. Australia have had 19 missed tackles to Argentina's 2. That's why the scoreboard is so decisive in Argentina's favour. PENALTY GOAL ARGENTINA - Gonzalez-Iglesias kicks beautifully with that kick never looking like missing. Argentina lead 31-7. Koroibete concedes the penalty for tackling over the shoulder. Wallabies win the ball back after working hard to force the turnover but Genia kicks it long looking for space, but he kicks it too long and it rolls dead. It's a case of easy come, easy go for the Wallabies. Penalty to Argentina after the restart and this could end up being an embarassing loss to Australia if they keep going like this. CONVERSION ARGENTINA - Gonzalez-Iglesias converts with Argentina leading 28-7. TRY ARGENTINA - The Pumas are doing some kind of job on the Wallabies here! Gonzalez-Iglesias slips the tackle of Foley and away he goes. He scores the try just two minutes after coming on to replace Sanchez. Both sides have made two handling errors each. Sanchez is off and he waves to the crowd in a sign that he may be injured. CONVERSION ARGENTINA - Sanchez adds the extras with Argentina leading 21-7. TRY ARGENTINA - The Wallabies couldn't handle that lineout and Orlando goes over for the third try of the match for Argentina. Foley has been busy tonight and it's another good long kick to get them out of danger. Lavanini seems to have hurt his ribs after some contact from Pocock. The Australian defence seems to have woken from their early slumber with the Pumas unable to make any real ground they lose the ball. Wallabies win the lineout and Foley kicks well again to clear virtually to half way. Pumas will take it once again. Argentina win it back at the line out. Good kick by Foley to accurately find touch and some good metres. Genia does well to apply the tackle to take Sanchez out of play. That's his second big tackle of the match. The Wallabies will finish bottom of the Rugby Championship table unless they can defeat the Pumas and score the bonus point. That's looking unlikely at this stage. Another penalty against the Wallabies this against Hooper for coming in at the side. Sanchez kicks to touch. Penalty against Australia for not releasing just out of the 22. CONVERSION AUSTRALIA - Foley's conversion attempt is an absolute beauty! Argentina 14-7. TRY AUSTRALIA - Great pass inside from Genia to Hooper who is over for the try. Argentina 14-5. Wallabies kick to the left corner but Pocock concedes the penalty for not releasing the ball. Pumas keep their defence intact. Penalty to Australia for hands on the ball in the ruck. That will create some much needed relief. Pumas have the scrum on half way after the Wallabies knock on. Fair to say Australia hasn't had the best start. The Wallabies are under enormous pressure and will have to make up another two try deficit against the Pumas. CONVERSION ARGENTINA - Sanchez converts with Argentina leading 14-0. TRY ARGENTINA - Just as Australia were trying to work out something on the left flank they lose the ball. Sanchez starts the move again and Boffelli takes off and says catch me if you can. Not a chance is the answer with a 40 metre run and Argentina have scored two tries in four minutes. Argentina 12-0. CONVERSION ARGENTINA - Sanchez makes the easy conversion with Australia leading 7-0. TRY ARGENTINA - Sanchez with a defence splitting pass to Pablo Matera and the hole opens up big time! Matera runs through to score the try under the posts. Argentina stun the Wallabies with a very early try. Argentina 5-0. We are off and underway with Australia kicking off. Good evening and welcome to tonight's test between Argentina and Australia. 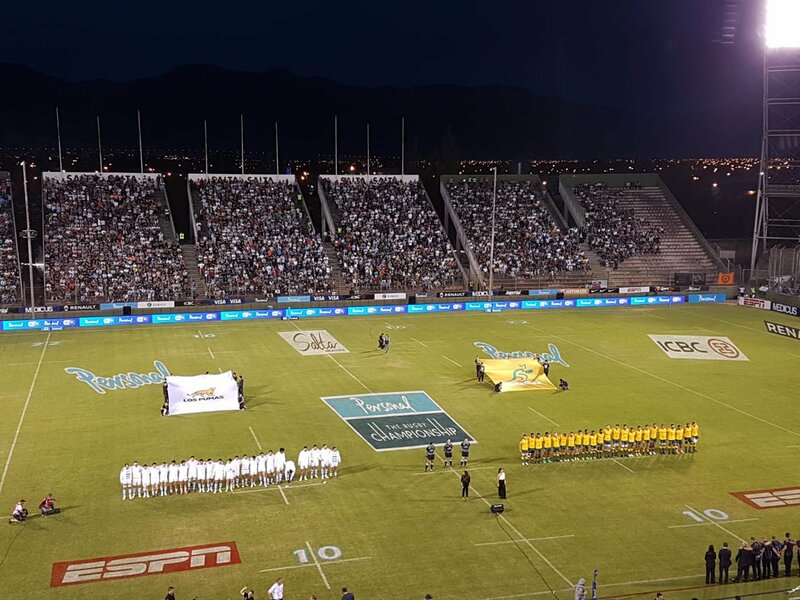 The final match of this year's Rugby Championship. Penal de Rete González Iglesias. 51 l Dane with the five pointer and we are back in business! We trail 31-28 here in Salta. 48 l TRY TIME for Izzy!! We lift the score to 31-21 here at #ARGvAUS. We lift the score to 31-14 here in Salta. Errores en el fondo y lo aprovecha Izack Rodda. Convierte Foley. Acá podés ver las fotos del primer tiempo. HT l Penalty to @lospumas moments before the break. We head into the sheds down 31-7 here in Salta. Patadón de Rete González Iglesias para sumar de a tres. 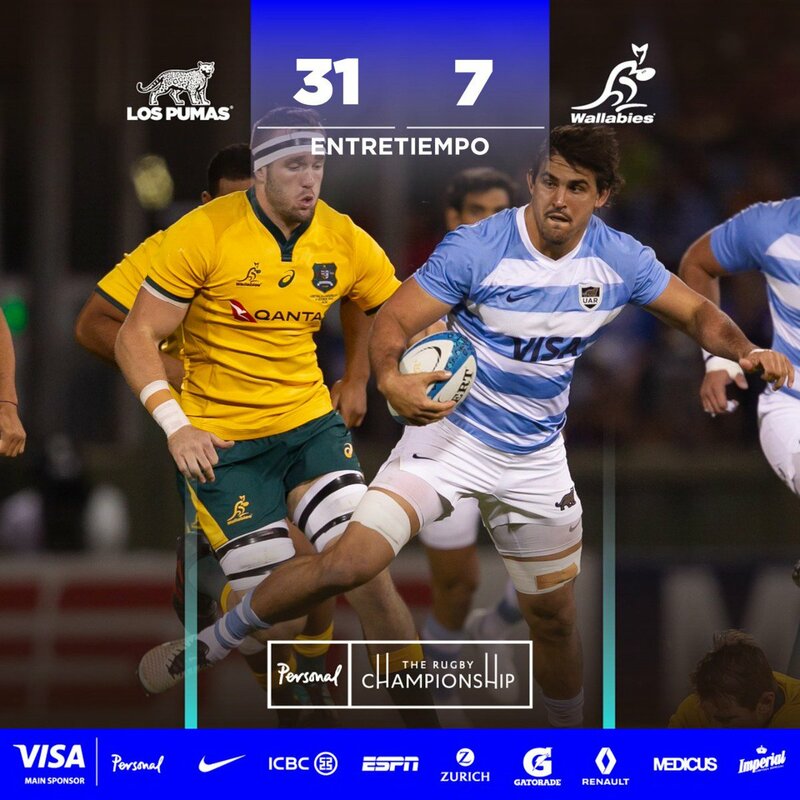 31 l Another five pointer for @lospumas. We are down 28-7 here in Salta. Jugada de 7 para Rete González Iglesias. 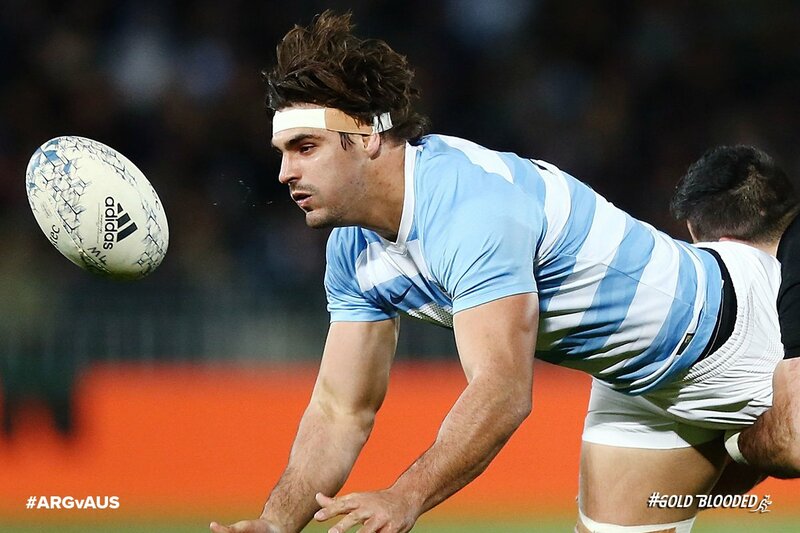 27 l Matias Orlando is over for @lospumas. 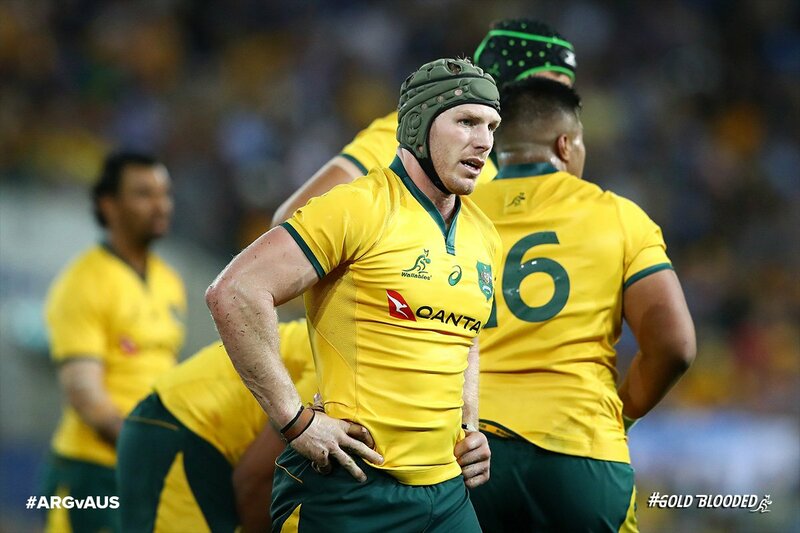 We trail 21-7 here at #ARGvAUS. Rete entró y facturó con try!!! Sale Nico Sánchez y lo reemplaza Rete González Iglesias. 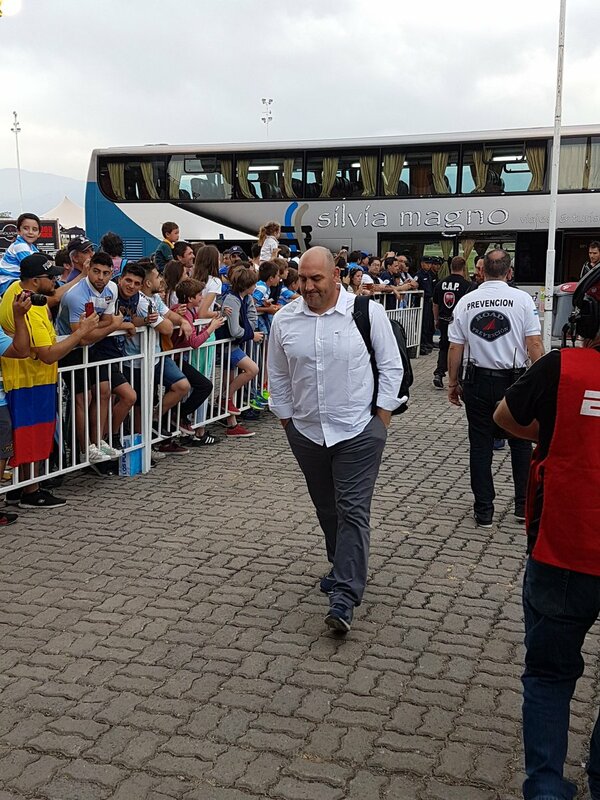 Casi llega Tute Moroni al try. Los Pumas atacan y lastiman. 13 l YES HOOPS!! We hit back and are on the scoreboard. We lift the score to 7-14 here in Salta. hacia el primer try del partido. 4 l Emiliano Boffelli with a five pointer for @lospumas. 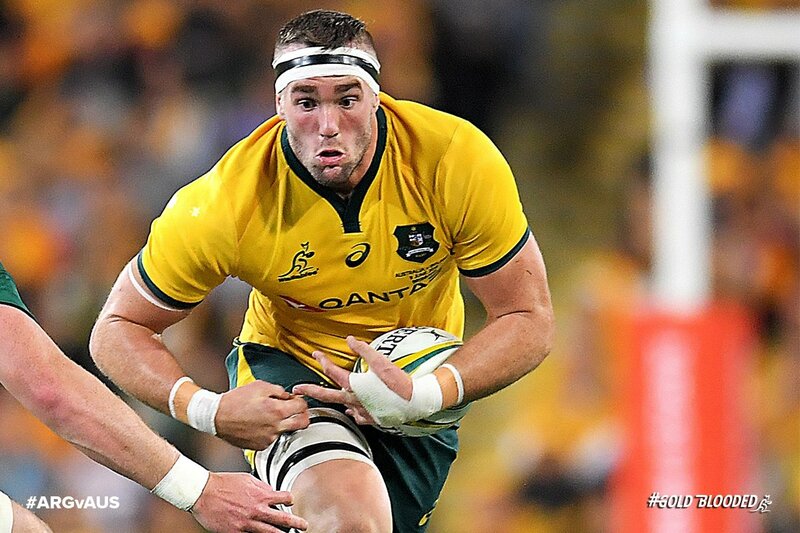 We are down 14-0 here at #ARGvAUS. 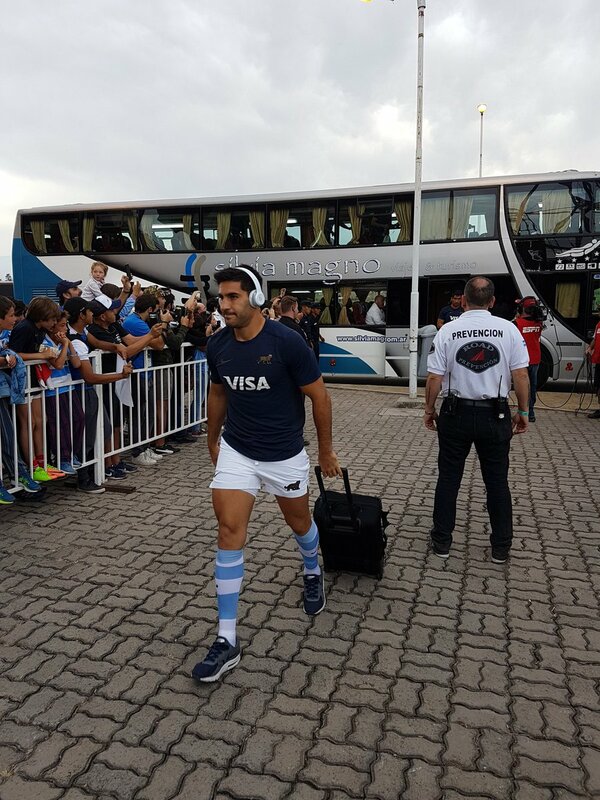 1 l Pablo Matera opens the scoreboard for @lospumas. We trail 7-0 here in Salta. Ahora apoyó Boffelli tras un contraataque letal. ¡Gran arranque con try de Pablo Matera! 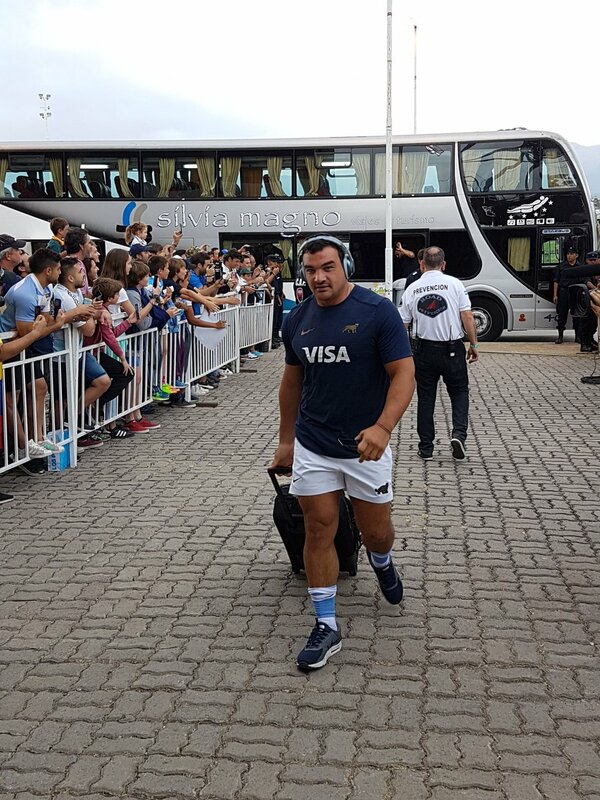 Follow us for live updates here in Salta as we face @lospumas in the final #TRC18 match. 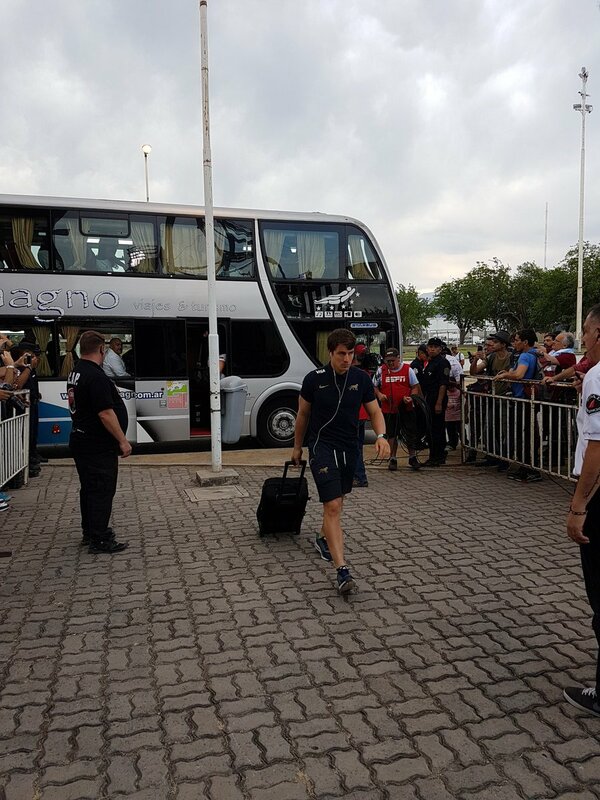 Ya se vienen Los Pumas!!! 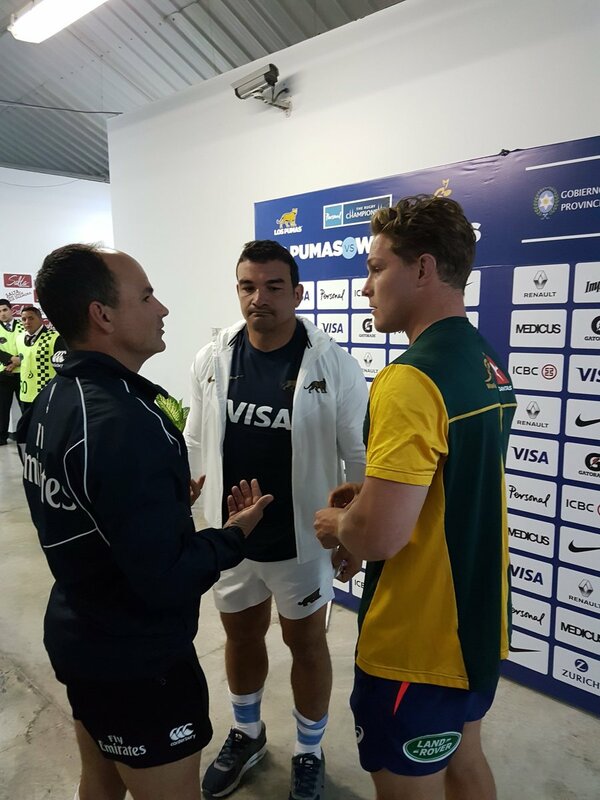 Agustín Creevy en el sorteo junto a Michael Hooper. Hoy te esperamos en el Fan fest para vivir la previa del partido en Salta y también para disfrutar después. "En esta semana volvimos a concentrarnos mucho en nuestra identidad". Nahuel Tetaz Chaparro llega a los 50 tests: "Lo viví y lo vivo muy intensamente". Matías Alemanno llega a los 50 tests: "Nunca pensé que fuera a darse tan rápido". Hoy será un partido especial para @NahuelTetaz que cumplirá 50 tests con la camiseta de Los Pumas.